There are lots of opportunities to get involved, from one-off events to ongoing projects. Find your fit in any or all of these options. 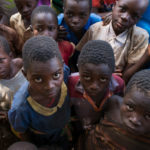 Every day thousands of people die from unsafe water and poor sanitation. 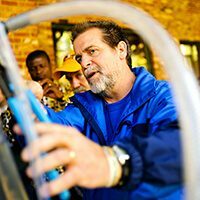 This course combines instruction on water chlorination methods and health education to help people understand the relationship between water, sanitation and health. Students learn how to set up a water treatment system, methods of water treatment, and tools for teaching health education. 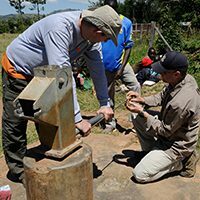 By joining a water project, you can become a part of that mission in a hands-on way. When you join a project you may work with locals to build a water treatment plant, teach health education, repair a broken well, or study ways to start a micro-business. If you are interested in joining a water project with WaterStep in 2018, contact Claudia Daniels at [email protected] or call 502-568-6342. *Most trips are 7-14 days and range from $2700-$3600 and are all-inclusive. 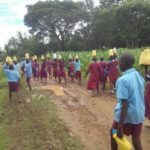 people are dependent on surface water for drinking-water service. of the world’s population will be living in water-stressed areas by 2025.
diarrhoeal deaths a year are caused by contaminated drinking water. Educate students about the impact of safe water. Teach your students about the world water crisis and how they can make a difference with the Quench Water Curriculum. These standards-based lessons teach your students facts about water and how it effects life on our planet. Pair the curriculum with a shoe drive and provide your students with a community service opportunity that supports water projects around the world. 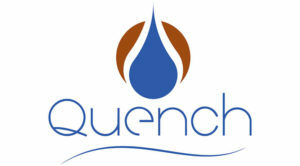 Fill out this form to download your free version of Quench. If you are not receiving our confirmation email with a link to download, be sure to check your Junk folder. Volunteers are the heartbeat of WaterStep. Whether you are donating your time and talents 3 times a week or 3 times a year, we need you and consider you part of our family. Would you like to join our shoe team? We need people to sort shoes. We need people to pick up shoes from our drop-off locations. We need people to start a shoe drive. We need people to promote our shoe drives to corporations, churches, schools. Would you like to join our manufacturing team? We need people that have basic skills with hand tools. We need people that want to build the products that save lives with safe water. 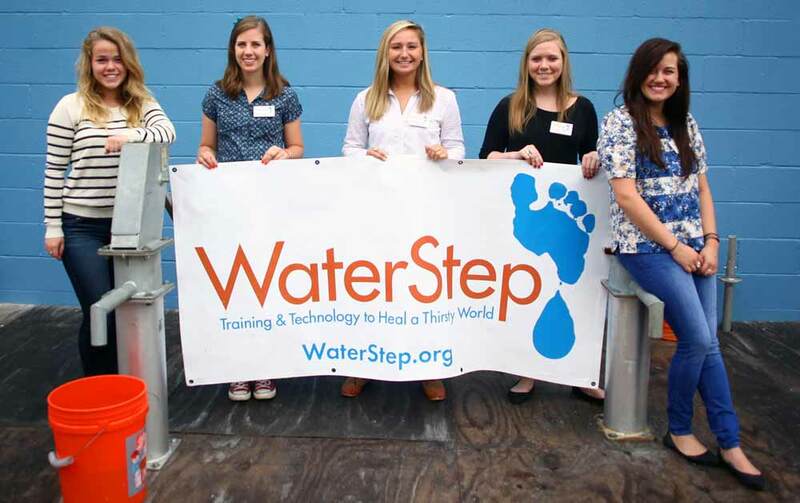 Currently, the best way to volunteer at WaterStep is with our Shoe Program. Please contact Derek at [email protected] to learn more. 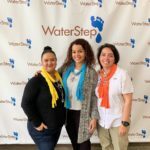 WaterStep’s internship program is designed to supplement the needs of our organization while offering experiences and opportunities that will benefit the intern in their career path and goals. During the internship we evaluate the skills and talents of the intern while mentoring them in real life business and service applications. We often use this program to assess the potential of an individual for a future employment opportunity. Interns are required to participate in water training classes so as to fully engulf themselves in the mission of WaterStep. All internships are unpaid. However, WaterStep, at its discretion, may award a stipend. All internship positions are considered voluntary and are for a short duration (3 months or less). Interns are expected to work a minimum of 20 hours and a maximum of 40 hours week, be dependable, punctual and presentable to our constituents. Interns are responsible for providing their own room and board and personal transportation. Interns must be able to satisfy the identification requirements of the I-9 to show their ability to work in the United States.